Dan graduated from DeMonfort University in 2009 gaining his BA Honours in Architecture. 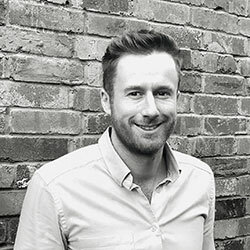 Since then he has worked for a number of private practices, gaining a wealth of experience in the design of buildings in the residential and commercial sectors. He joined NBA in early 2013 and is now responsible for the design of medium and large scale residential schemes. He has recently designed and attained planning permission for a number of high profile bespoke apartment schemes, one of which lies within Lichfield City centre’s sensitive conservation area. Outside of work he enjoys football and is a keen golfer.